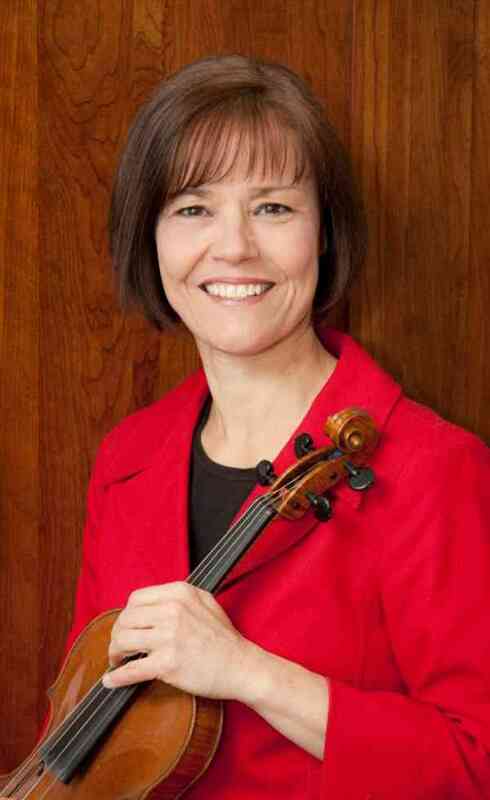 Violinist Gail Johansen is a Registered Teacher Trainer with the Suzuki Association of the Americas and teaches violin, viola and chamber music as a private studio teacher. She teaches Suzuki Violin Pedagogy in a long term program at the University of Alaska Fairbanks. Dr. Johansen is a founding member of the Fairbanks School of Talent Education and the Music Director of the Fairbanks Suzuki Institute, which was awarded the Suzuki Association of the Americas 2008 “Creating Learning Community” award. She is on the faculties of numerous summer institutes across North America, from Alaska to New York. She holds a Doctor of Musical Arts degree from Stanford University and Master of Music degree from the Cleveland Institute of Music. In 2009 Dr. Johansen was honored to receive the prestigious CIM Alumni Achievement Award. Dr. Johansen is associate concertmaster of the Fairbanks Symphony and the Arctic Chamber Orchestra and has played with these ensembles for 39 seasons, including tours of Alaskan villages, Europe, China and Greece. She is a founding member of the Alaska Chamber Players and the past president of the Alaska chapter of the American String Teachers Association.